Spring is on the way, with drone and IoT matches, a big ETF purchase, and industrial automation the subject of the past week’s robotics transactions. While spring still seems far away in the U.S., several automation businesses made the matchmaking plunge. Perhaps it’s Mardi Gras or Valentine’s Day exuberance, but several mergers and acquisitions led the past week’s robotics, AI, drone and IoT matches! For more information, visit our Transactions Database to stay up to date on the key partnerships, investments, public offerings, and government funding developments. Search, sort, and print by transaction type, date, or industry. Kicking off recent acquisitions and drone and IoT matches, Arrow Electronics Inc. bought eInfochips for an unspecified amount. San Jose, Calif.-based eInfochips has 1,500 employees in the U.S., India, and Europe. The company designs and delivers chips for the Industrial Internet of Things (IIoT) and serves the aerospace, consumer and retail, healthcare, and industrial automation markets. Google’s former Boston Dynamics unit got a lot of media attention for the latest video of its SpotMini robot, which can now open doors in addition to walking. However, Google has gotten out of the walking robot business and is focusing on its strengths in data for IoT. 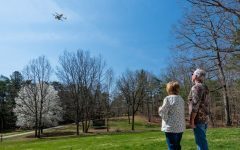 In precision agriculture, agribusiness conglomerate Syngenta purchased FarmShots Inc. Raleigh, N.C.-based FarmShots’ cloud-based software analyzes drone and satellite imagery to do things such as optimizing and reducing fertilizer and pesticide use. Terms were not disclosed. Also on the drone side of drones and IoT, The Toro Co. became a minority equity partner in GreenSight Agronomics. Boston-based GreenSight is a leader in drone mapping for golf courses and farms. PrecisionHawk Inc. bought two aerial drone companies, Droners.io and AirVid, to create a network of more than 15,000 commercially licensed drone pilots. It will combine its existing drone certification program to continue serving the agriculture, construction, and energy industries, as well as government use. Los Angeles-based DroneBase raised $12 million in Series B funding for its enterprise drone services. DJI, Union Square Ventures, and Upfront Ventues led the round. “DroneBase recently completed over 100,000 commercial drone missions for enterprise clients across various industries such as real estate, insurance, telecommunications, construction, and media,” said the company in a statement. “The company has the largest, most engaged and skilled drone pilot network, having grown it 10x year over year for the past two years. Through this network, DroneBase is able to turn around a client mission in less than 48 hours anywhere in the United States, since its pilots are active in all 50 states and over 60 countries. Speaking of training, South African firm Onsite Group this week acquired the educational division of VJ Robotics. Onsite wants to facilitate the integration of STEM (science, technology, engineering, and math) training into schools worldwide. Boeing’s HorizonX Ventures wing invested in the Series B round for Singularity University. It will be providing experts to the digital education provider, which teaches individuals and organizations about emerging technologies such as AI and robotics. The biggest marriage of the past week was Mirae Asset Global Investments‘ acquisition of New York-based Global X Management Co., whose exchange-traded fund includes an automation theme. The investment firms have a total of $30 billion in assets under management as of last month. Global X’s BOTZ fund reportedly got more than $650 million in investments in January, showing the level of interest in funding for robotics, even though the technology is diffused across multiple vertical industries. 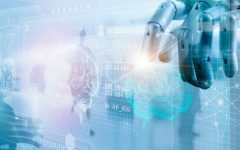 Other ETFs serving the robotics industry include the Robo Global Robotics & Automation ETF (ROBO), which has more than $1.5 billion under management, and the British Robotics Seed Fund or BritBots (BRSF), which is based in the U.K. Elsewhere in finance, Micronotes Inc. raised $3 million for its cloud-based, AI-enabled marketing automation platform. It uses machine learning to conduct interviews for bank cross-selling and customer-loyalty efforts. Last week wasn’t all mergers and acquisitions, with other transactions around manufacturing and supply chain automation. The U.S. Department of Energy funded 24 advanced manufacturing projects with $35 million. The projects are conducting research and development in new materials, processes, and tools. InVia Robotics closed a Series A round of $9 million for its robotics as a service (RaaS) offering in warehouses. The round was led by Upfront Ventures and Embark Ventures. Meanwhile, Hillhouse Capital and Sequoia led a $2.5 billion investment in JD Logistics Inc. Waukesha, Wisc.-based JD Logistics is a unit of China-based e-commerce company JD.com and said it plans to use the funding to expand into automation, drones, and robotics. Israel-based CommonSense Robotics raised $20 million to expand its global operations. The week’s only failure was the shutdown of iDAvatars, whose voice assistant was intended for the manufacturing and healthcare industry. The Mequon, Wis.-based company is seeking a buyer. In addition to the agricultural drone and IoT transactions above, Berlin-based urban farming business Infarm raised $25 million in Series A funding, led by Balderton Capital. Vertical and indoor farming involves a high degree of automation and also promises to shorten grocery supply chains and reduce the need for water, fertilizers, and pesticides. Acacia Research Corp. invested $10 million in Series B funding for Miso Robotics, whose “Flippy” burger-flipping robot will be rolling out to restaurants in California and worldwide in the next year. Acacia also took a loss last quarter on its investment in AI company Veritone Inc.
BioXcel Therapeutics Inc. in Branford, Conn., has set an initial public offering goal of $69 million for its AI drug discovery technology. Canaccord Genuity Inc. is lead manager, with Barclays Capital Inc., BMO Capital Markets Corp, and UBS Securities LLC also involved.